Are you bored of your old traditional wire sprouting speakers??? Do you want to save yourself from the hassle of unwinding those loose wires??? Well how about going for a speaker with absolutely no strings attached to it. Or in other words, wireless speakers. Yes, we at shopping.rediff.com bring to you a whole new generation of excellent Bluetooth wireless technology that will change the way you listen to music. Come and be a part of this great revolution that has evolved in the field of wireless technology. 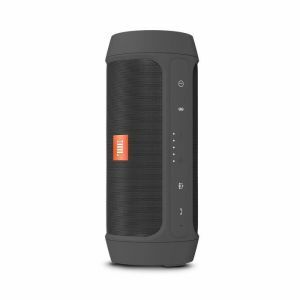 Many brands have introduced these Bluetooth speakers to their of products that provide you with excellent sound quality without any cables or wires. Let's have a quick look at what kind of Bluetooth devices are available on website. 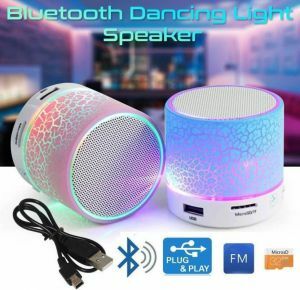 Bluetooth Speakers for Laptops - If you are a person who loves to listen to soft, romantic songs filled with heavy doses of melody, these portable Bluetooth speakers can surely be an item of interest. These small speakers are designed to fit in your pockets and can be easily carried from one place to another because of their light weight. They are the ultimate partners in your leisure time or that part of the day when you want to lose yourself in symphony. Moreover, the range of sound of these wireless speakers is considerably good. 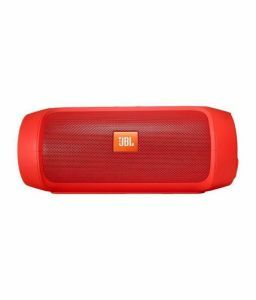 Some of these Bluetooth speakers include the Mini Beat Box Bluetooth Speakers, Beats by Dr. Dre MINI Beat Box Bluetooth Speakers and VOX Universal Portable 2 in 1 Bluetooth Speaker. We at Rediff Shopping offer you these high performing wireless speakers in the price range of INR 700 to INR 3,000. Bluetooth Speakers for iPad - Are you a diehard fan of rock bands such as the Linkin Park or Nirvana??? If your answer is 'Yes', then the arrival of high music pumping Bluetooth speakers will certainly add to your happiness. Engineered to wirelessly broadcast high quality audio, these Bluetooth speakers are loaded with superior amplifiers that help to produce loud music suitable for pop songs. Some of these speakers are Klipsch Roomgrove iPod Speaker system and Forward Bluetooth Portable Speaker. These new generation speakers fall in the price range of INR 5,000 to INR 15,000. Bluetooth Speakers for Cars - Do you like blaring high voltage music from your car??? Then here is some good news for you, for we at Rediff Shopping are offering Bluetooth speakers specially engineered for cars. These car specific wireless speakers are loaded with multiple features like Voice guidance caller id, Dual microphone support technology and superior sound producing technology. The New Model Jabra Car Speaker Bluetooth Cruiser 2 and others available on our website fall within the price range of INR 5,000 to INR 6,000.